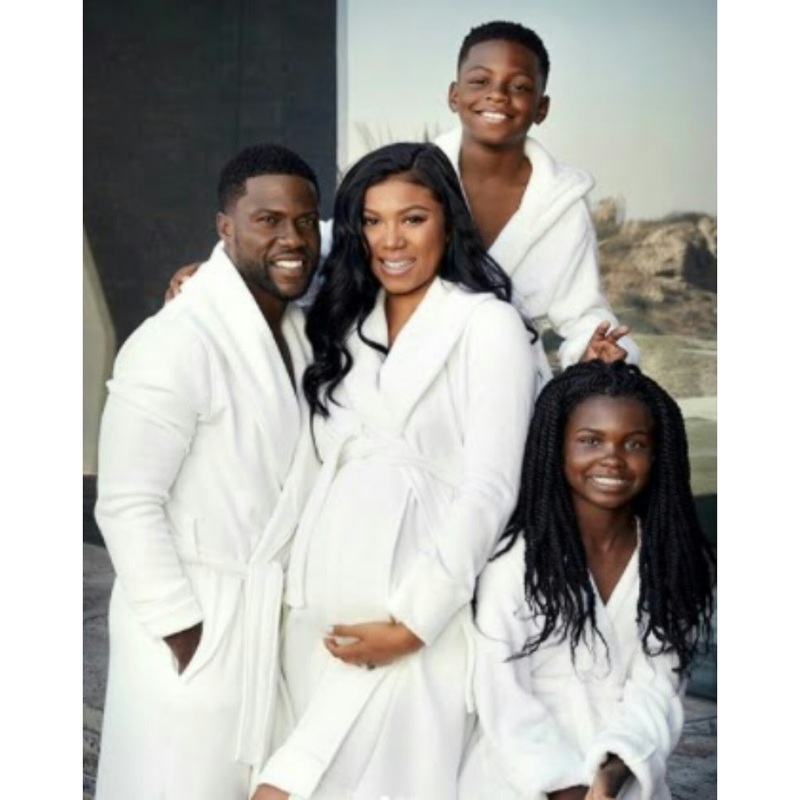 The cute photo was shared by Kevin Hart’s new wife Eniko who is heavily pregnant. 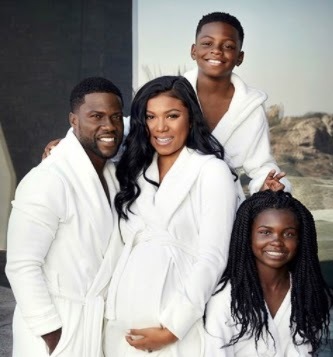 Kevin's wife, Eniko, is pictured with the handsome comic actor and his kids from his first wife, Torrei Hart. 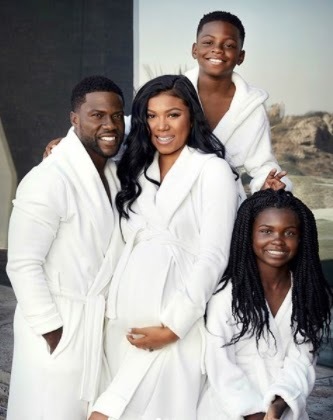 This comes a day after Kevin celebrated his son's birthday with his ex-wife, Torrie Hart.